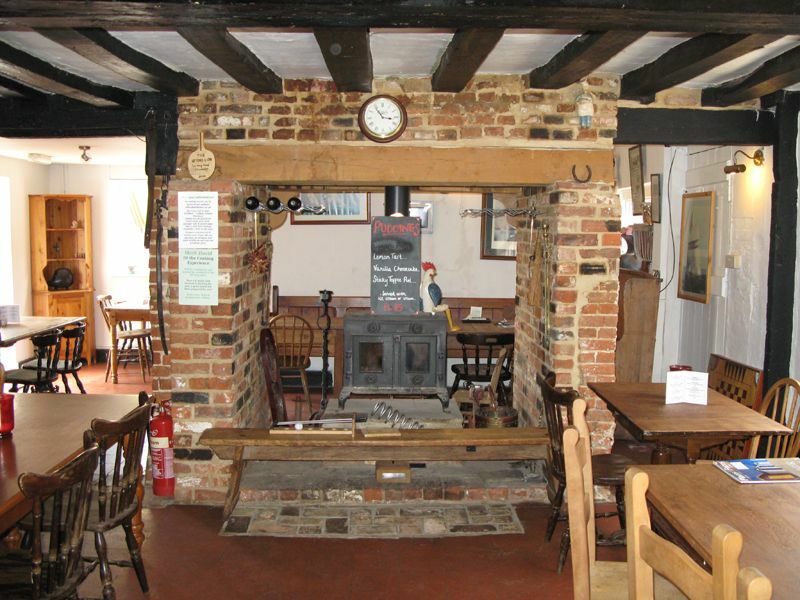 Imagine the perfect country pub and you won’t dream up better than Ufford’s White Lion Inn. 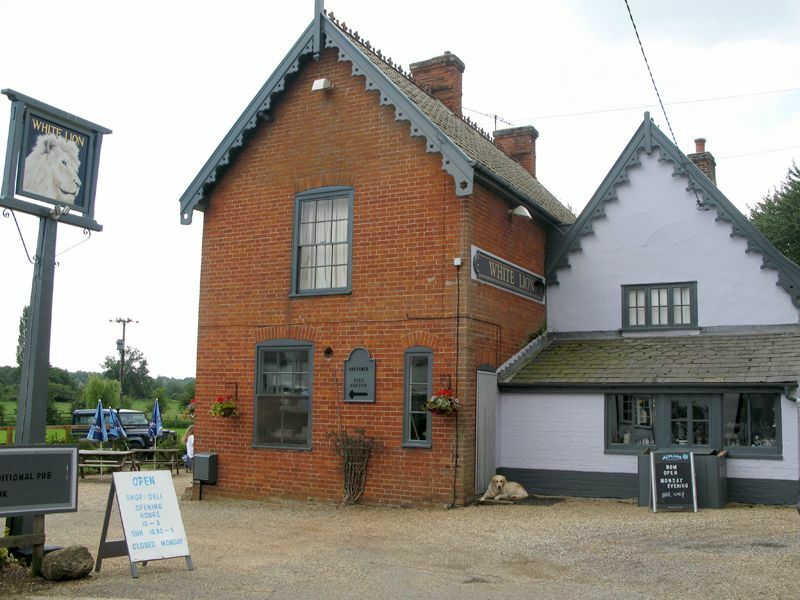 With its glorious meadowside setting and cosy interior it offers everything you could want for sustenance and good cheer. Real ales straight from the cask, a choice of coffees, a warm, welcoming atmosphere, some of the best, home made & locally sourced food in Suffolk, we rear our own Suffolk Black pigs, free range chickens & bees. Our own micro brewery opened in May 2011, Uffa Brewery, in the Old Coach House next to the pub. 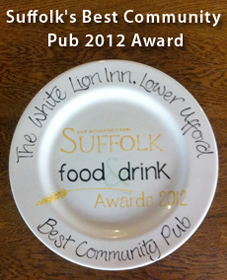 Winners of the Best Community Pub 2012 East Anglian Daily Times presented at the Suffolk Food & Drinks Awards. 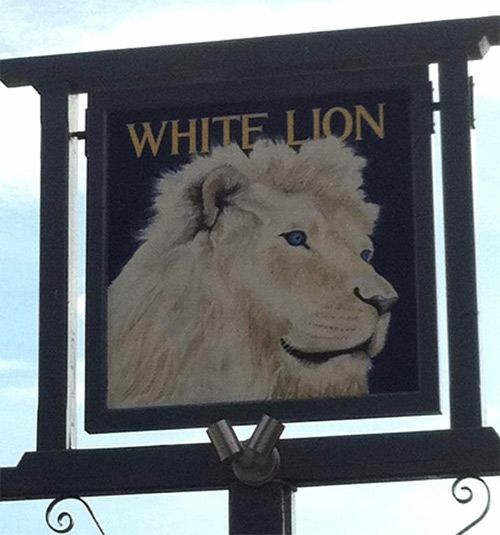 If it is entertainment you're after, the White Lion’s wide-ranging calendar of events offers year-round entertainment by way of its celebrated classic car rallies, beer festivals, regular fine dining evenings, bonkers bingo sessions, table tennis and quiz nights, sailing club extravaganzas and sizzling summer barbeques. See Events to see what's on. We ‘re more blessed than most with dry weather in Suffolk, and when the sun shines there’s nowhere quite like a country pub garden to make the most of it. 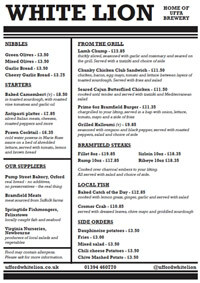 So why not come and enjoy delicious al fresco dining from June to September at the White Lion pub in Lower Ufford. We have top-notch real ales and fabulous food showcasing fresh local produce: pizzas wood smoked in our outdoor brick oven, succulent joints spit-roasted on the rotisserie or seared on the BBQ – everything to satisfy the outdoor dining enthusiast including burgers and a choice of salads.